Bikes for Books!! 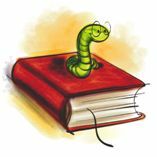 Don’t forget to get an entry form for every book you read… deadline for entries is this month! Tuesday, April 4 – Mrs. Kimball will be at school to read starting at 8:45 a.m.
Thursday, April 6 – Ms. Erwin will be at school to read starting at 8:45 a.m. Remember Valley Grange is hosting the Piscataquis Pomona Meeting tonight! Chicken Pie Supper at 6:00 p.m. – meeting at 7:00 p.m. features National Grange Master Betsy Huber. All are welcomed! Friday, April 7 — Jump Rope for Heart activities all day at school! Tuesday, April 11 – Mrs. Kimball will be at school to read starting at 8:45 a.m.
Wednesday, April 12 – Newspapers in Education Supplement (including winning Valley Grange ads) will be in the Piscataquis Observer. Thursday, April 13 – Ms. Erwin will be at school to read starting at 8:45 a.m.
Friday, April 14 – Bikes for Books Assembly! Bikes… books… clowns… oh, my! April 17 – April 21 – School Vacation! Friday, April 21 – CWA Potluck Supper at 6:00 p.m. and special program at 7:00 p.m.
Tuesday, April 25 – Mr. Boomsma will be at school to read starting at 8:45 a.m.
Thursday, April 27 – Ms. Erwin will be at school to read starting at 8:45 a.m.
Bikes for Books!! Don’t forget to get an entry form for every book you read! Thursday, March 2 – Mrs. Lander will be at school to read starting at 8:45 a.m.
Tuesday, March 7 – Ms. Erwin will be at school to read starting at 8:45 a.m.
Thursday, March 9 – Mr. Boomsma will be at school to read starting at 8:45 a.m.
Tuesday, March 14 – Mrs. Lander will be at school to read starting at 8:45 a.m.
Thursday, March 16 – Mrs. Kimball will be at school to read starting at 8:45 a.m.
March 20 – March 24 is Agriculture Week — GrowME activities will be scheduled! Tuesday, March 28 – Mrs. Kimball will be at school to read starting at 8:45 a.m.
Thursday, March 16 – Ms. Erwin will be at school to read starting at 8:45 a.m.
Thursday, January 5— Ms. Erwin will be at school to read starting at 8:45 a.m.
Tuesday, January 10— Mrs. Chadbourne will be at school to read starting at 8:45 a.m.
Thursday, January 12— Mrs. Lander will be at school to read starting at 8:45 a.m.
Monday, January 16— No School! Tuesday, January 17— Mrs. Kimball will be at school to read starting at 8:45 a.m.
Thursday, January 19— Mrs. Kimball will be at school to read starting at 8:45 a.m.
Tuesday, January 24— Ms. Erwin will be at school to read starting at 8:45 a.m.
Thursday, January 26— Mr. Boomsma will be at school to read starting at 8:45 a.m.
Tuesday, January 31— Mrs. Lander will be at school to read starting at 8:45 a.m.
Tuesday, April 5– Ms. Erwin will be at school to read starting at 9:00 a.m.
Thursday, April 7– Mrs. Kimball will be at school to read starting at 9:00 a.m.
Tuesday, April 12 – Mr. Boomsma will be at school to read starting at 9:00 a.m.
Wednesday, April 13 – Newspapers in Education Supplement will be in the Observer! Thursday, April 14 – Ms. Erwin will be at school to read starting at 9:00 a.m.
Friday, April 15 – Valley Grange Night! Potluck supper at 6 p.m., program at 7:00 p.m.
April 18 through April 22 – No school! Tuesday, April 26 – Mrs. Kimball will be at school to read starting at 9:00 a.m.
Thursday, April 28 – Mr. Boomsma will be at school to read starting at 9:00 a.m.
S nuggle up with a book! What a great way to spend a cold winter’s evening!? Tuesday, February 2 – Mrs. Lander will be at school to read starting at 9:00 a.m.
Thursday, February 4 – Mrs. Bosworth will be at school to read starting at 9:00 a.m.
Tuesday, February 9 – Ms. Erwin will be at school to read starting at 9:00 a.m.
Thursday, February 11 – Mrs. Kimball will be at school to read starting at 9:00 a.m.
Monday, February 15 – Friday, February 19 — School Vacation! Tuesday, February 23 – Ms. Erwin will be at school to read starting at 9:00 a.m.
Thursday, February 25 – Mrs. Lander will be at school to read starting at 9:00 a.m. Happy New Year! How many books will you resolve to read this year!? Tuesday, January 5 – Mrs. Lander will be at school to read starting at 9:00 a.m.
Thursday, January 7 – Ms. Erwin will be at school to read starting at 9:00 a.m.
Tuesday, January 12 – Mr. Lange will be at school to read starting at 9:00 a.m.
Thursday, January 14 – Mrs. Kimball will be at school to read starting at 9:00 a.m.
Tuesday, January 19 – Mrs. Lander will be at school to read starting at 9:00 a.m.
Thursday, January 21 – Mrs., Kimball will be at school to read starting at 9:00 a.m.
Tuesday, January 26 – Mr. Lange will be at school to read starting at 9:00 a.m.
Thursday, January 28 – Ms. Erwin will be at school to read starting at 9:00 a.m.
Snuggle up with a book! What a great way to spend a cold winter’s evening!? Tuesday, December 1 – Ms. Erwin will be at school to read starting at 9:00 a.m.
Thursday, December 3 – Mr. Lange will be at school to read starting at 9:00 a.m.
Friday, December 4 — all are invited to a Fellowship Breakfast at Valley Grange starting at 6 p.m. — you read that right, we’re having breakfast for supper! How cool is that!? Tuesday, December 8 – Mr. Boomsma will be at school to read starting at 9:00 a.m.
Also on Tuesday, Grades K-3 Christmas Concert at 5:30 pm in the PCES Gym! Thursday, December 10 – Mrs. Kimball will be at school to read starting at 9:00 a.m.
Also on Thursday, Grades 4-6 Christmas Concert at 6:00 pm in the PCSS (high school) Gym! Tuesday, December 15 – Ms. Erwin will be at school to read starting at 9:00 a.m.
Thursday, December 17 – Mrs. Lander will be at school to read starting at 9:00 a.m.
Monday, December 2 through Friday, January 1 there is no school, so there will be lots of time to read at home! See you next year!